Edward Jenner’s demonstration, in 1798, that inoculation with cowpox could protect against smallpox brought the first hope that the disease could be controlled. In 1967, when WHO launched an intensified plan to eradicate smallpox, the “ancient scourge” threatened 60% of the world’s population, killed every fourth victim, scarred or blinded most survivors, and eluded any form of treatment. Source: World Health Organisation (WHO). More information on this BBC site. Smallpox still exists in laboratories. 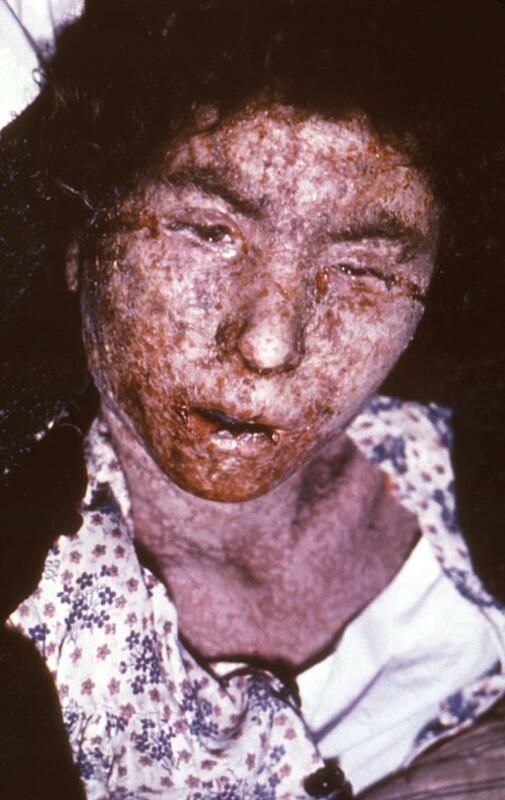 In 2011, the BBC reported that a decision on when to destroy the last known stocks of live smallpox virus had been put off for another three years. The WHO agreed to resume the discussion in 2014.